Welcome to the IATP Affiliates page. IATP Affiliates are organisations and companies that support IATP’s ethos and wish to benefit from IATP’s weekly news bulletins, monthly newsletters, promotion and participate in IATP Events and Fund Raising Events. Pennington Choices provides property surveying and consultancy services to organisations nationwide. We have a wealth of experience working with more than 150 public and private sector organisations across social housing, NHS, education and rail over the past 18 years. Our breadth of services make us unique and provides a cost and time-effective solution to our clients. The fastest growing telematics company in Europe, supplying a digital mileage recording and claim system for all company or personal cars used for work. Drivers no longer have to manually record their mileage and the finance team in the office will have an easy 100% accurate system providing mileage logs that also differentiate business mileage and private mileage. 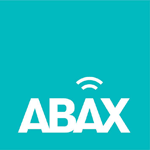 ABAX also provide a world-class tracking system for commercial fleet managers who are looking to keep control of day-to-day operations, reduce risk of HMRC queries and streamline their fuel bills as well as increasing efficiency. Calcot Asbestos recruitment was established in June 2014. We are a family run business with 16 over year’s experience in the asbestos industry. We provide temporary labour to the Asbestos industry. Suppliers of adhesive tapes, asbestos consumables and maintenance essentials. 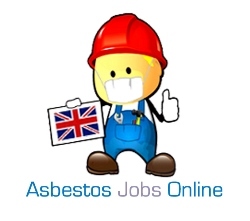 Asbestos Jobs Online is THE online resource for jobs in asbestos removal. Once a candidate has joined, he/she can post a CV which can be edited as and when necessary from within their own account on the site. Job Seekers are notified by email when a new job is posted by one of our employers and can apply online. Employers have access to candidates who have the right qualifications and experience for this very specialised sector and can contact them directly.